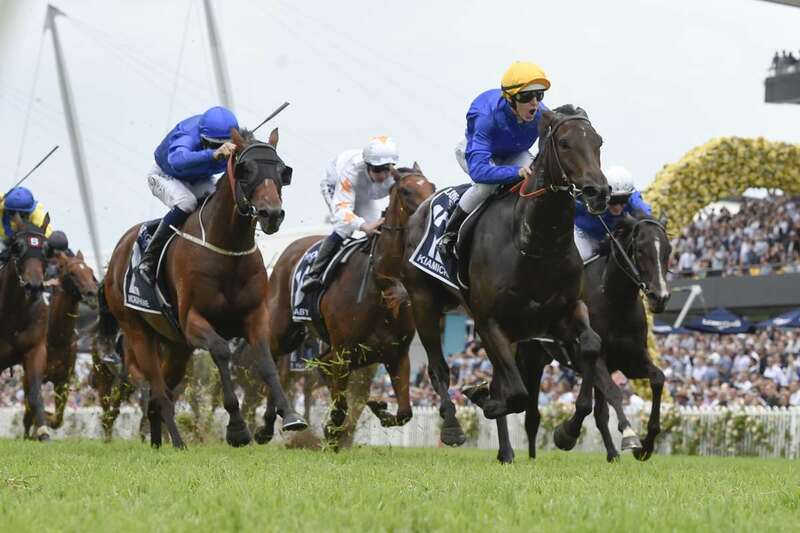 The usual names were all there in the pedigrees of the Darley-sired runners in the $3.5 million G1 Golden Slipper held on Saturday, 23 March at Rosehill Gardens. Lonhro, Exceed And Excel, Medaglia d’Oro, each of them already the sire of a Slipper winner. The odd man out was Sidestep, a stallion whose first crop are two-year-olds in Australia. Sidestep is the only one of the quartet to have been placed in a Golden Slipper himself and his filly Kiamichi was going into the race just as he did, as a last-start winner off a seven-day break. Kiamichi came out of the world’s richest two-year-old race as the first winner to carry the Godolphin royal blue, giving her sire a boost as valuable as a stallion can receive in Australia. Sidestep, who raced in Sheikh Mohammed’s maroon and white colours was the Champion two-year-old colt of the 2012-13 Australian season, retiring to stud in 2015 as the winner of three Stakes races. After standing at Darley’s Kelvinside Stud in New South Wales and at Haras du Logis in Normandy, he now stands at Telemon Thoroughbreds in Queensland, on lease from Darley. Further evidence of his potential came on Friday when, Sidestep’s son Surreal Step ran a promising race in Listed company at Moonee Valley, while his daughter, Longbottom, saluted the judge at Muswellbrook by two and a half lengths barely 24 hours after his Golden Slipper-winning result. G1 Golden Slipper winner Kiamichi has a pedigree that represents a strong Darley and Godolphin family. Kiamichi is a daughter of the unraced Canny Lad mare Ouachita, whose six winners from seven foals to race include recent Stakes winner Cossetot (Epaulette). Ouachita is a sister to G1 winner Preserve, dam of Stakes winners Safeguard and Archives, and a half-sister to G1 Golden Rose winner and Darley stallion Denman (Lonhro). The next generations of Darley-related Golden Slipper runners. Kiamichi (Sidestep x Ouachita): dam has a weanling filly by Animal Kingdom. Microphone (Exceed And Excel x Sung): dam has a yearling colt by Teofilo. Tenley (Medaglia d'Oro x Fratianne): dam has a yearling filly by Shooting To Win. Pin Sec (Lonhro x Moderate): dam has a weanling filly by Street Boss. Bivouac (Exceed And Excel x Dazzler): dam has a weanling filly by Medaglia d'Oro and is in foal to Lonhro. Anaheed (Fastnet Rock x Rostova): dam has a yearling colt by Medaglia d'Oro (catalogued as Lot 231 in the 2019 Inglis Easter sale). Also starring at Rosehill on Saturday was world Champion Winx, the daughter of much-lamented Darley stallion Street Cry, as she extended her winning run yet further. In her penultimate start, Winx jogged up on the heavy track in the G1 Ryder Stakes, winning the race for the fourth consecutive year and taking her unbeaten sequence to an astounding 32 races. In all, she has won 36 races, 24 of which have been at G1 level. She hasn’t been beaten in almost four years, her last defeat coming in the 2015 G1 Australian Oaks when she finished second. 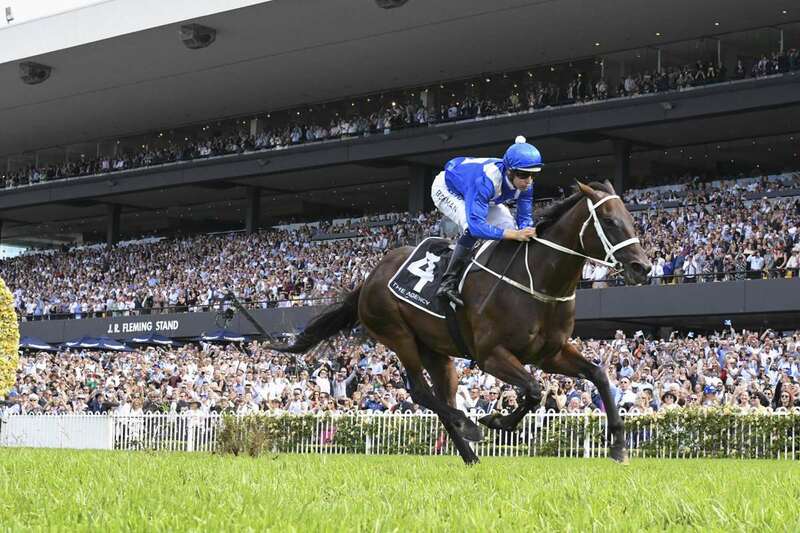 Saturday’s win took Winx’s racetrack earnings beyond $24 million. As impressive as the numbers are, there was more to it. The success of Medaglia d’Oro’s latest crop to hit the track in Australia, headed by Group-winning fillies Tenley and Flit, continued last week as he added another winner in the colt, Chenier. A Godolphin homebred trained by Anthony Freedman, Chenier produced a dominant display to win a 1,300m juvenile maiden on debut at Sandown. Having gauged the strength of the best two-year-olds in Australia with his filly Lyre, who followed her G1 Blue Diamond Stakes win with third place in the G1 Golden Slipper last Saturday, Freedman said after the race that he has big plans for his charge. Freedman has mapped out a program that will take Chenier from another midweek two-year-old race over 1,400m at Sandown next month to the G1 Champagne Stakes (1,600m) at Randwick on Saturday, 20 April. "I think he's very good, potentially, but they've got to keep going the right way," Freedman said. "To come here and win as well as he did, off a limited prep, would suggest he'll continue to improve." Chenier has a pedigree that offers further promise as he matures, being a son of the Zabeel mare Zydeco, winner of the G2 Wakeful Stakes at Flemington. The family also includes the G1 winners All Our Mob and All Time High. Medaglia d’Oro has 19 yearlings catalogued at the 2019 Inglis Easter yearling sale.